Recent calculations have shown that the “Pacemaker of the Ice Ages” paper, by Hays, Imbrie, and Shackleton, which convinced many scientists of the seeming validity of Milankovitch climate forcing, is actually largely invalid, even by uniformitarian reckoning, due to a significant revision in the age of the Brunhes–Matuyama magnetic reversal boundary. This article asks the question, can uniformitarian scientists still make a strong argument for Milankovitch climate forcing from other paleoclimatological data sets? Although they can, and indeed often do, make a case from other data sets for some kind of Milankovitch climate forcing, uniformitarian scientists do not agree on the details of the forcing model. In other words, uniformitarian scientists seem unable to reconcile all the paleoclimate data with a single, consistent version of the Milankovitch theory. Hence, the theory is probably much weaker than generally assumed. Implications for geochronology and the debate over ‘global warming’ or ‘climate change’ are also discussed. Figure 1. The Milankovitch (or astronomical theory) posits that slow changes in the seasonal and latitudinal distribution of sunlight resulting from changes in Earth’s (a) eccentricity and (b) axial tilt (or obliquity) ‘pace’ ice age cycles. Also contributing is the influence of axial precession (c), as it combines with orbital precession (not shown). Confirmation of the astronomical theory is difficult to achieve in practice, even if one assumes ‘deep time’ is real. Figure 2. 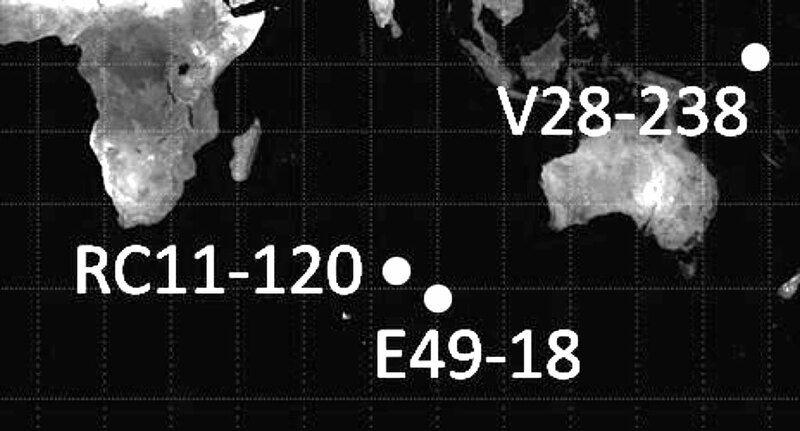 The “Pacemaker of the Ice Ages” paper, by Hays, Imbrie, and Shackleton, utilized data from the two southern Indian Ocean sediment cores, RC11-120 and E49-18. 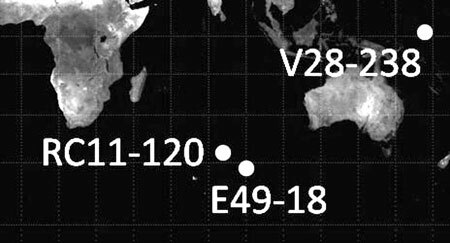 Another core from the equatorial western Pacific, V28-238, played an important role in establishing the timescales for the two Indian Ocean cores, particularly the longer E49-18 core. Ironically, uniformitarians made this age revision because they were attempting to ‘tune’ data within other sediment cores to align with Milankovitch expectations.7,8 So uniformitarians used an age of 700 ka to help convince the world of the validity of Milankovitch climate forcing, but then revised this age to 780 ka because they were having difficulty reconciling other data with the Milankovitch theory! After this revision was made, it was supposedly ‘confirmed’ by radioisotope dating.9 Part 1 in this series summarized the results10–12 when the Pacemaker calculations are reperformed after taking into account this age revision.6 It also presented a simple method whereby even non-specialists can quickly verify that the results of this iconic paper are invalid. As an aside, it is worth noting that even after multiple extensive internet searches, I have been unable to find a single, solitary candid acknowledgment in the secular literature of this serious problem with the Pacemaker results. In fact, as I show later, many uniformitarian scientists may not even be aware of the problem! Given that there are likely hundreds of published papers that discuss the astronomical theory, one might be tempted to assume that the evidence for the astronomical theory is still very strong, despite invalidation of the Pacemaker results. However, many, if not most, of these papers simply assume the validity of the theory and then use that assumption to derive conclusions about geochronology or paleoclimates. However, there are at least four reasons (given below) to suspect that the astronomical theory is without a firm logical foundation. Confirmation also requires a means of assigning tentative ages to the sediments within those cores, and this method must be independent of any implicit Milankovitch assumptions. Because radioisotope dating (within a uniformitarian framework) can only be applied to seafloor sediments in special cases (e.g. radiocarbon and uranium series dating), these timescales must be derived indirectly. The original Pacemaker paper used an assumed age of 700 ka for the Brunhes–Matuyama (B–M) magnetic reversal boundary as well as oxygen isotope (δ18O) data from the V28-238 western Pacific sediment core to help derive these timescales.14,15 Because the B–M magnetic reversal was recorded at a depth of 1,200 cm within the V28-238 core, uniformitarians were able to assign ages to prominent δ18O features within the V28-238 core by assuming an age of 0 ka for the top of the core and a constant sedimentation rate. These age estimates were then transferred via ‘wiggle matching’ to the two Indian Ocean cores used in the Pacemaker analysis. At the time of the Pacemaker paper’s publication, the V28-238 core seems to have been the only means available to uniformitarians to assign ages to the deeper seafloor sediments.16 In fact, the importance of the V28-238 δ18O record for uniformitarian scientists is highlighted by the fact that it has been called a kind of ice age ‘Rosetta Stone’.17 But now that uniformitarians have revised the age of the B–M reversal to 780 ka, use of that very same method yields age estimates that are significantly different from those used in the Pacemaker paper. This raises the question, do uniformitarians have another means (independent of Milankovitch assumptions) of assigning ages to deep seafloor sediments? Do they have some other long, undisturbed sediment core (characterized by a nearly constant sedimentation rate) which also contains the B–M reversal boundary? And if so, have they attempted to use it to obtain revised ages for key features within the δ18O record? And even if they do have it, and are now using it rather than the V28-238 core for this purpose, doesn’t this seem like ‘cherry picking’ of dates? On what basis does one determine that one set of age estimates is more valid than another? Figure 3. The age model for the New Zealand deep-sea sediment core MD97-2120 was tied to the ages assigned to other deep-sea cores and ice cores, the ages of which in turn were often tied back to the Milankovitch theory. Details are provided in references 44 and 45. Of course, Milankovitch proponents who advocate for non-linear climate responses to the obliquity and precessional orbital inputs could argue that invalidation of the original Pacemaker results is not ‘a big deal’. After all, they don’t expect the frequencies of the climate responses to the obliquity and precessional cycles to equal the frequencies of those particular orbital cycles, anyway. But if that is the case, then the original Pacemaker results (in which the frequencies of the climate responses did agree with those of the obliquity and precessional cycles) should never have been used as an argument for Milankovitch climate forcing in the first place! One specialist, in the context of defending the theory, nevertheless acknowledged that, “Surprisingly, the [Milankovitch] hypothesis remains not clearly defined despite an extensive body of research on the link between global ice volume and insolation changes arising from variations in the Earth’s orbit.”27 But this raises a question, How does one test a poorly-defined theory? No doubt one can reconcile the data within at least some of the hundreds of seafloor sediment cores with at least some version or versions of the Milankovitch theory. But is there a single version of the theory that can fit all the data? That uniformitarian paleoclimatologists still cannot agree on the details of their model, even after forty years of work, strongly suggests that the answer to that question is no. The ‘strongest argument yet’ for the theory? When one considers the revision to the age of the Brunhes–Matuyama reversal boundary, Berger’s statement is simply jaw-dropping. Recall that the Pacemaker paper used Shackleton and Opdyke’s age estimates for prominent features in the δ18O record to set up the timescales used in the analysis. But these age estimates were obtained using an assumed age of 700 ka for the B–M reversal boundary.29 However, the 1990 paper by Shackleton et al. is one of the papers that argued that the age of the B–M reversal needed to be raised to 780 ka!30 Berger may very well be correct when he says that the agreement of dates obtained by the methods in those two papers is quite good. But there is an outrageous logical contradiction hiding beneath this apparent agreement. The paper by Shackleton and Opdyke assumed an age of just 700 ka for the B–M reversal boundary, while the 1990 paper by Shackleton et al. required that the age for this same reversal be 780 ka. Moreover, uncertainties for such age estimates of the B–M reversal tend to be ~10 ka, implying that the two different age estimates are truly discordant.9,31 If Berger is right, and this is indeed the strongest argument yet for Milankovitch climate forcing, then it is probably safe to say that the theory is in serious trouble! Despite the many theoretical problems with the Milankovitch theory, it has been widely accepted because of the results of time series and/or spectral analysis.32,33 The results of these analyses are the only real argument in favour of the theory. Yet, additional analyses of paleoclimate data invariably result in contradictions to the theory. 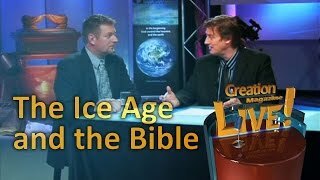 Could this perhaps be a lesson to Christians who are tempted to embrace the latest claims of evolutionary scientists, due to results that seem outwardly impressive, despite the factthat those claims contradict Scripture? Moreover, uniformitarian scientists later revised Emiliani’s timescale, increasing it by about 25%, to reflect 231Pa and 230Th measurements made on Caribbean core V12-122.36 Hence, this apparent confirmation of the Milankovitch theory was soon abandoned and forgotten, despite Emiliani’s apparently impressive correlation. 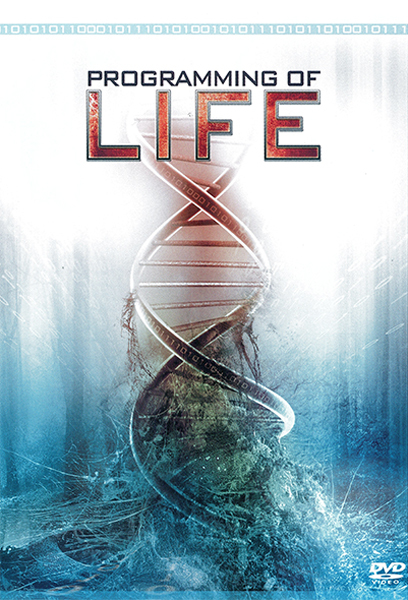 Could this perhaps be a lesson to Christians who are tempted to embrace the latest claims of evolutionary scientists, due to results that seem outwardly impressive, despite the fact that those claims contradict Scripture? Of course, this revised age for the B–M reversal boundary undermines the original Pacemaker paper results. So it seems that history has repeated itself. Just as Emiliani’s apparent confirmation of Milankovitch climate forcing was overturned by a subsequent age revision, the apparent ‘Pacemaker’ confirmation of Hays, Imbrie, and Shackleton have been overturned in a similar manner—although secular paleoclimatologists seem unwilling to acknowledge this! This overview reveals a pattern: uniformitarian scientists obtain what they believe is a confirmation of the Milankovitch theory, but contradictions with the theory eventually emerge as new data are examined. Of course, if the astronomical theory is unsubstantiated, then these age assignments are in doubt, even by uniformitarian reckoning (figure 4). Figure 4. 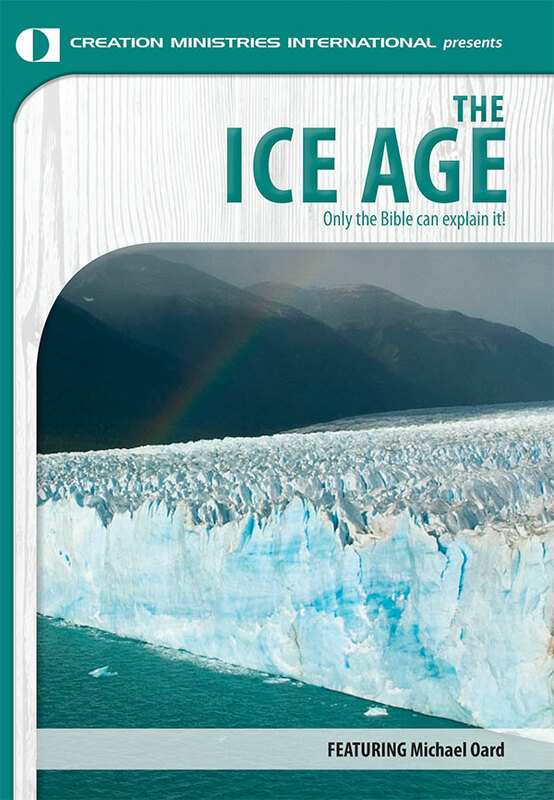 The “Pacemaker of the Ice Ages” paper has become the foundation (a) for modern acceptance of the idea of Milankovitch climate forcing, but now that the results from this famous paper have been invalidated, is there any firm basis (b) for belief in the theory, or for the age estimates obtained from the theory? Vardiman’s conclusion is substantiated by numerous papers within the uniformitarian literature, which conclude, based on uniformitarian and Milankovitch considerations, that the climate is unstable.51–57 Hence, the concern that factors like higher atmospheric CO2 can contribute to some kind of climate catastrophe. Note that what Berger calls ‘experience’ is really just a Milankovitch/uniformitarian interpretation of the seafloor sediment data. Thus, these conclusions are derived, not from direct observation, or even from meteorological considerations per se, but from a uniformitarian/Milankovitch interpretation of the seafloor sediment data. We have already seen, however, that such an interpretation of the data is logically ‘shaky’ and there may be no hard evidence for it whatsoever. The secular paleoclimatological community would be wise not to ignore or attempt to ‘cover up’ the problems in the Pacemaker paper. But given the importance of the paper to secular thinking, they probably will. 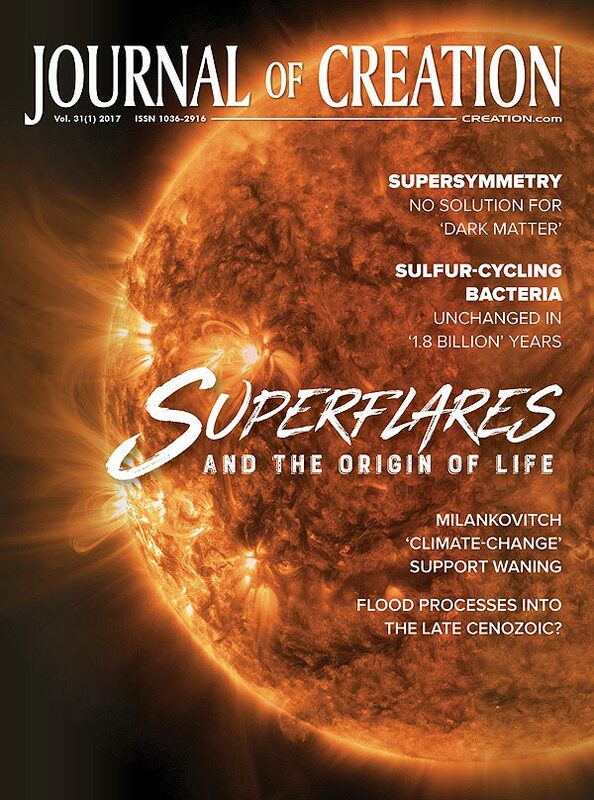 In fact, both Science and Nature ran articles commemorating the 40th anniversary of the paper’s publication.60,61 In recent years, secular paleoclimatology has taken several rather serious ‘hits’ to its credibility. These include the controversy over Michael Mann’s ‘hockey stick’ graph, which purported to show unprecedented warming at the end of the 20th century.62,63 McIntyre and McKitrick have made devastating criticisms of Mann’s papers.64 Likewise, the East Anglia ‘climategate’ scandals revealed evidence that influential climate scientists were attempting to ‘rig’ the climate change debate in rather under-handed ways.65,66 The last thing secular paleoclimatology needs is another ‘hit’ to its credibility. And the problems with the Pacemaker paper could constitute such a ‘hit’, if it ever becomes common knowledge that paleoclimatologists were either unaware of the problems in the Pacemaker paper or, worse yet, that they were aware of them but ignored them. It is my hope that this series of papers, particularly the conceptual exercise in part 1, will enable non-specialists to see for themselves that the Pacemaker results should be questioned, even for those who accept ‘deep time’. 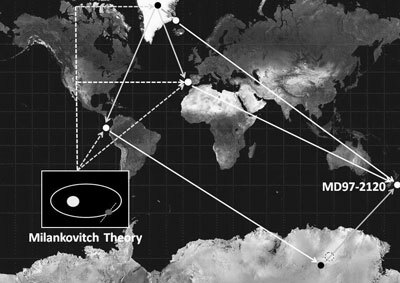 The evidence for the Milankovitch theory is apparently much weaker than generally assumed. Given the prominent role that Milankovitch theory plays (via orbital tuning) in uniformitarian geochronology, it is possible that many, perhaps hundreds, of age assignments could be in doubt, even by uniformitarian reckoning. Likewise, given the prominent role that the theory plays in paleoclimatology, anyone hoping to correctly evaluate and respond to arguments for and against catastrophic anthropogenic global warming (CAGW) should take these weaknesses into account. Another threat to the Milankovitch theory quelled? Walker, M. and Lowe, J., Quaternary science 2007: a 50-year retrospective, J. Geological Society, London 164(6):1073–1092, 2007. Return to text. Oard, M.J., Astronomical troubles for the astronomical hypothesis of ice ages, J. Creation 21(3):19–23, 2007. Return to text. Cronin, T.M., Paleoclimates: Understanding Climate Change Past and Present, Columbia University Press, New York, 2010. Return to text. Elkibbi, M. and Rial, J.A., An outsider’s review of the astronomical theory of the climate: is the eccentricity-driven insolation the main driver of the ice ages? Earth-Science Reviews 56(1–4):161–177, 2001. Return to text. Hayes, J.D., Imbrie, J. and Shackleton, N.J., Variations in the earth’s orbit:Pacemaker of the ice ages, Science 194(4270):1121–1132, 1976. Return to text. Hebert, J. A broken climate pacemaker? —part 1, J. Creation 31(1):88–98, 2016. Return to text. Shackleton, N.J., Berger, A. and Peltier, W.R., An alternative astronomical calibration of the lower Pleistocene timescale based on ODP Site 677, Transactions of the Royal Society of Edinburgh: Earth Sciences 81(4):251–261, 1990. Return to text. Hilgen, F.J., Astronomical calibration of Gauss to Matuyama sapropels in the Mediterranean and implication for the geomagnetic polarity time scale, Earth and Planetary Science Letters 104(2–4):226–244, 1991. Return to text. Spell, T.L. and McDougall, I., Revisions to the age of the Brunhes-Matuyama boundary and the Pleistocene geomagnetic polarity timescale, Geophysical Research Letters 19(12):1181–1184, 1992. Return to text. Hebert, J., Revisiting an iconic argument for Milankovitch climate forcing: should the “Pacemaker of the Ice Ages” paper be retracted? part 1, Answers Research J. 9:25–56, 2016. Return to text. Hebert, J., Revisiting an iconic argument for Milankovitch climate forcing: should the “Pacemaker of the Ice Ages” paper be retracted? part 2, Answers Research J. 9:131–147, 2016. Return to text. Hebert, J., Revisiting an iconic argument for Milankovitch climate forcing: should the “Pacemaker of the Ice Ages” paper be retracted? part 3, Answers Research J. 9:229–255, 2016. Return to text. Hays, Imbrie and Shackleton, ref. 5, p. 1122. Return to text. Hays, Imbrie and Shackleton, ref. 5, pp. 1124, 1131. Return to text. Shackleton, N.J. and Opdyke, N.D., Oxygen isotope and Palaeomagnetic stratigraphy of equatorial Pacific core V28-238: oxygen isotope temperatures and ice volumes on a 105 year and 106 year scale, Quaternary Research 3:39–55, 1973. Return to text. A nearby companion core to V28-238, the V28-239 core, contained a record of the B–M magnetic reversal boundary, as well as four other magnetic reversals, but the top three metres of the core were described by Shackleton and Opdyke , ref. 15, p. 40, as ‘severely disturbed’. Return to text. Woodward, J., The Ice Age: A Very Short Introduction, Oxford University Press, Oxford, p. 97, 2014. Return to text. Woodward, ref. 17, p. 107. Return to text. Nisancioglu, K.H., Plio-Pleistocene Glacial Cycles and Milankovitch Variability; in: Steele, J.H. (Ed. ), Climates and Oceans, Academic Press, Amsterdam, The Netherlands, pp. 344–353, 2010; quote on p. 347. Return to text. Manolakis, D.G. and Ingle, V.K., Applied Digital Signal Processing: Theory and Practice, Cambridge University Press, New York, p. 203, 2011. Return to text. One might assume, since the original Pacemaker results also showed dominant spectral peaks corresponding to the ~100 ka eccentricity cycle, that this particular climate response would also be linear (input frequency/period equals output frequency/period). However, changes in insolation resulting from variations in eccentricity are much too small to have a direct climatic effect. Hence, the Pacemaker authors attributed the dominant low-frequency peaks to a non-linear response to the precession index, which depends on both eccentricity and the longitude of perihelion (see pp. 1130–1131 in reference 5. See also the discussion at scienceofdoom.com/2014/03/03/ghosts-of-climates-past-eighteen-probably-nonlinearity-of-unknown-origin/, accessed 17 November 2016). Return to text. Nobes, D.C., Bloomer, S.F., Mienert, J. and Westall F., Milankovitch cycles and nonlinear response in the Quaternary record in the Atlantic sector of the southern oceans; in: Ciesielski, P.F., Kristoffersen, Y. et al., Proceedings of the Ocean Drilling Program, Scientific Results 114, Ocean Drilling Program, College Station, TX, pp. 551–576, 1991. Return to text. Rial, J.A. and Anaclerio C.A., Understanding nonlinear responses of the climate system to orbital forcing. Quaternary Science Reviews 19:1709–1722, 2000. Return to text. Lourens, L.J., Becker, J., Bintanja, R. et al., Linear and non-linear response of late Neogene glacial cycles to obliquity forcing and implications for the Milankovitch theory, Quaternary Science Reviews 29(1–2): 352–365, 2010. Return to text. Muller, R.A. and MacDonald, G.J., Spectrum of 100-kyr glacial cycle: Orbital inclination, not eccentricity, Proceedings of the National Academy of Sciences 94(16): 8329–8334, 1997. Return to text. Muller, R.A. and MacDonald, G.J., Ice Ages and Astronomical Causes: Data, Spectral Analysis and Mechanisms, Praxis Publishing, Chichester, UK, 2000. Return to text. Roe, G., In defense of Milankovitch, Geophysical Research Letters 33(24):L24703, 2006. Return to text. Berger, W.H., On the Beginnings of Palaeoceanography: Foraminifera, Pioneers, and the Albatross expedition; in: Bowden, A.J., Gregory, F.J. and Henderson, A.S. (Eds. ), Landmarks in Foraminiferal Micropalaeontology: History and Development, Geological Society Publishing House, London, p. 169, 2014. Return to text. Shackleton and Opdyke, ref. 15, pp. 40, 49. Return to text. Shackleton et al., ref. 7, pp. 251, 257. Return to text. Imbrie, J., Hays, J.D., Martinson, D.G. et al., The orbital theory of Pleistocene climate: support from a revised chronology of the marine δ18O record; in: Berger, A., Imbrie, J., Hays, J., Kukla, G. and Saltzman, B. (Eds. ), Milankovitch and Climate, Part 1., D. Reidel Publishing, Dordrecht, Holland, pp. 269–305, 1984. Return to text. Muller and MacDonald, ref. 26, p. xiv. Return to text. Alvarez, W., in Muller and MacDonald, ref. 26, p. xvii. Return to text. Emiliani, C., Isotopic paleotemperatures, Science 154(3751):851–857, 1966. Return to text. Shackleton, N., Oxygen isotope analyses and Pleistocene temperatures re-assessed, Nature 215:15–17, 1967. Return to text. Broecker, W.S. and van Donk, J., Insolation changes, ice volumes, and the O18 record in deep-sea cores, Reviews of Geophysics and Space Physics 8(1):169–198, 1970. Return to text. Mankinen, E.A. and Dalrymple, G.B., Revised geomagnetic polarity time scale for the Interval 0–5 m.y. B.P, J. Geophysical Research: Solid Earth 84(B2):615– 626, 1979. Return to text. Herbert, T.D., Paleoceanography: orbitally tuned timescales; in: Steele, J.H. (Ed. ), Climates and Oceans, Academic Press, Amsterdam, pp. 370–377, 2010. Return to text. Huybers, P. and Aharonson, O., Orbital tuning, eccentricity, and the frequency modulation of climatic precession, Paleoceanography 25:PA4228, 2010. Return to text. Martinson, D.G., Pisias, N.G., Hays, J.D. et al., Age dating and the orbital theory of the ice ages: development of a high-resolution 0 to 300,000-year chronostratigraphy, Quaternary Research 27:1–29, 1987. Return to text. Rial and Anaclerio, ref. 23, p. 1715. Return to text. Hebert, J., Circular reasoning in the dating of deep seafloor sediments and ice cores: the orbital tuning method, Answers Research J. 7:297–309, 2014. Return to text. Hebert, J., The dating ‘pedigree’ of seafloor sediment core MD97-2120: a case study, Creation Research Society Quarterly 51(3):152–164, 2015. Return to text. Hebert, J., Deep core dating and circular reasoning, Acts & Facts 45(3):9–11, 2016. Return to text. Renne, P.R., Deino, A.L., Walter, R.C. et al., Intercalibration of astronomical and radioisotope time, Geology 22(9):783–786, 1994. Return to text. Channell, J.E.T., Hodell, D.A., Singer, B.S. and Xuan, C., Reconciling Astrochronological and 40Ar/39Ar ages for the Matuyama-Brunhes boundary and late Matuyama Chron, Geochemistry, Geophysics, Geosystems 11(12):1–21, 2010. Return to text. Huang, C., Hesselbo, S.P. and Hinnov, L., Astrochronology of the late Jurassic Kimmeridge clay (Dorset, England) and implications for Earth system processes, Earth and Planetary Science Letters 289(1–2):242–255, 2010. Return to text. Rivera, T.A., Storey, M., Zeeden, C., Hilgen, F.J. and Kuiper, K., A refined astronomically calibrated 40Ar/39Ar Age for Fish Canyon sanidine, Earth and Planetary Science Letters 311(3–4):420–426, 2011. Return to text. Meyers, S.R., Siewert, S.E., Singer, B.S. et al., Intercalibration of radioisotopic and astrochronologic time scales for the Cenomanian-Turonian boundary interval, Western Interior Basin, US, Geology 40(1):7–10, 2012. Return to text. Vardiman, L., Climates Before and After the Genesis Flood, Institute for Creation Research, El Cajon, CA, p. 79, 2001. Return to text. Dansgaard, W., Johnsen, S.J., Clausen, H.B. et al., Evidence for general instability of past climate from a 250-Kyr ice-core record, Nature 364(6434):218–220, 1993. Return to text. Alley, R.B., Mayewski, P.A., Sowers, T. et al., holocene climate instability: a prominent, widespread event 8200 Yr Ago, Geology 25(6):483–486, 1997. Return to text. Thompson, L.G., Yao, T., Davis, M.E. et al., Tropical climate instability: the last glacial cycle from a Qinghai-Tibetan ice core, Science 276(5320):1821–1825, 1997. Return to text. Schilman, B., Bar-Matthews, M., Almogi-Labin, A. and Luz, B., Global climate instability reflected by eastern Mediterranean marine records during the late Holocene, Palaeogeography, Palaeoclimatology, Palaeoecology 176(1–4):157–176, 2001. Return to text. Keeling, R.F. and Stephens, B.B., Antarctic sea ice and the control of Pleistocene climate instability, Paleoceanography 16(1):112–131, 2001. Return to text. Sandal, C. and Nof, D., A new analytical model for Heinrich events and climate instability, J. Physical Oceanography 38(2):451–466, 2008. Return to text. Greenop, R., Foster, G.L., Wilson, P.A. and Lear, C.H., Middle Miocene climate instability associated with high-amplitude CO2 variability, Paleoceanography 29(9):845–853, 2014. Return to text. Berger, W.H., Milankovitch Theory—Hits and Misses, Scripps Institution of Oceanography, University of California San Diego, La Jolla, CA, p. 15, 2012. Return to text. Berger, ref. 58, p. 16. Return to text. 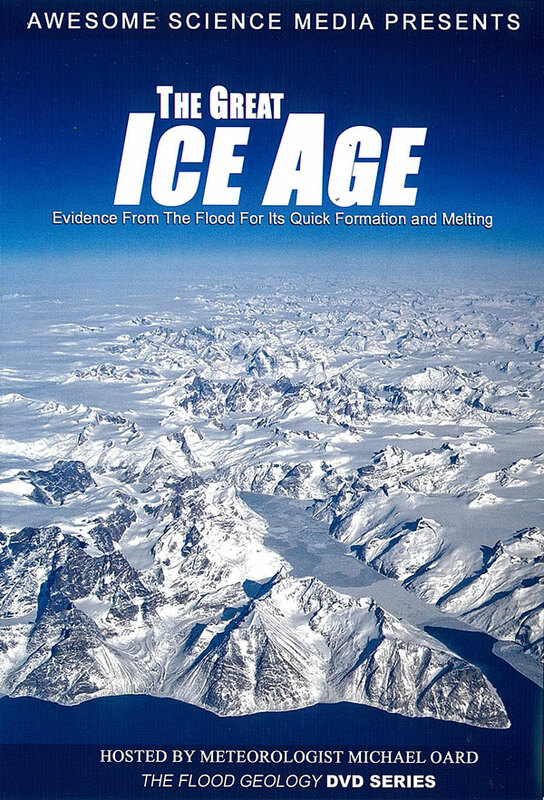 Hodell, D.A., The smoking gun of the ice ages, Science 354(6317):1235–1236, 2016. Return to text. Maslin, M., Forty years of linking orbits to ice ages, Nature 540(7632):208–210, 2016. Return to text. Mann, M.E., Bradley, R.S. and Hughes, M.K., Global-scale temperature patterns and climate forcing over the past six centuries, Nature 392(6678):779–787, 1998. Return to text. Mann, M.E., Bradley, R.S. and Hughes, M.K., Northern hemisphere temperatures during the past millennium: Inferences, uncertainties, and limitations, Geophysical Research Letters 26:759–762, 1999. Return to text. McIntyre, S. and McKitrick, R., Hockey sticks, principal components, and spurious significance, Geophysical Research Letters 32:L03710, 2005. Return to text. Booker, C., Climate change: this is the worst scientific scandal of our generation, 28 November 2009, telegraph.co.uk/comment/columnists/christopherbooker/6679082/Climate-change-this-is-the-worst-scientific-scandal-of-our-generation.html, accessed 5 January 2017. Return to text. Taylor, J., Climategate 2.0: New E-mails Rock the Global Warming Debate, 23 November 2011, forbes.com/sites/jamestaylor/2011/11/23/climategate-2-0-new-e-mails-rock-the-global-warming-debate/#5740a1f3988d, accessed 5 January 2017. Return to text.